With a population of more than three million residents and countless more tourists, San Diego is a competitive market that requires bold approaches. Whether you operate in the heart of downtown or outside in the suburbs, you need to maximize your available space with vibrant, cost-efficient signage and accessories. 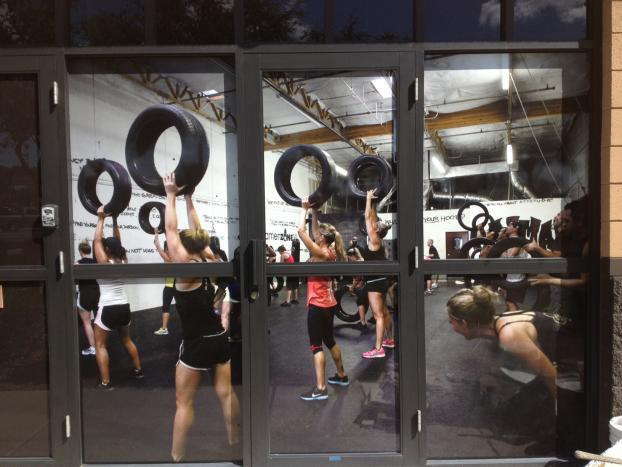 SpeedPro Imaging Mission Valley can craft custom window graphics for you that check all the boxes, as they offer versatility, professionalism and impact. With various certifications and extensive experience, our studio is prepared to work with you from start to finish. As a partner of the nation’s biggest large-format graphics provider, we also have access to industry-leading materials as well as cutting-edge printing technology. From decoration to promotion, we happily assist companies throughout San Diego, Chula Vista, North San Diego and the surrounding communities. Reach out to us today to join the club. From restaurants to schools and more, window graphics can have a profound impact and attract countless new and loyal clients. At SpeedPro, we operate with a philosophy that’s based on client satisfaction, which means we won’t say no to any request. We encourage open dialogue, and we’ll remain in close contact with you throughout the process. With a massive product catalog available, we’ll recommend options based on what we learn about your company during an in-depth consultation. Frosted or image window graphics: Do you need to create a display that shows off your logo or fleshes out your promotional campaign? 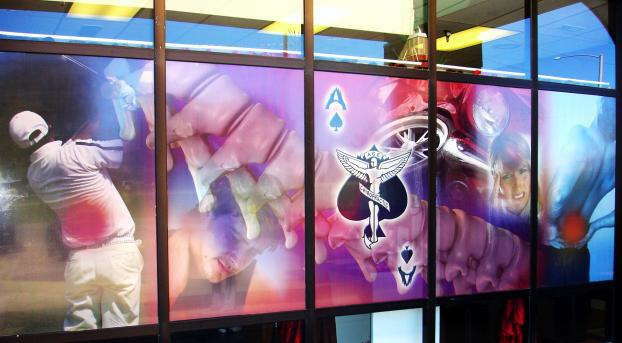 If so, we can shape image window graphics to suit your requirements. If you need to add a different kind of look to your space, frosted vinyl can be used to increase privacy or add to your building’s atmosphere. You can finish your designs in matte, gloss, etched, frosted, clear or dusted. We can also straight or contour cut upon request. Window perforated film: If you need storefront window graphics, perforated films make for an excellent solution. You can apply them to windows, glass doors and even car windshields. You’ll receive a high-resolution image that also adds more privacy for your employees. We offer 50/50, 60/40, 65/35 and 70/30 vinyl-to-hole ratios to allow you to choose the amount of light that enters your interior. Window clings: Easy to place and remove, window clings offer a short-term solution for promotions and other marketing needs. You can apply them through static cling or adhesive on the exterior (first surface) or interior (second surface) of the glass. Once we’re ready to start designing, we’ll use expert color-matching practices to match the new products up with your preexisting branding elements. As a long-term extension of your visual marketing team, we’ll help in any way we can to deliver high-quality business window graphics. Get in touch with us to set up a consultation and meet with our team. You can also visit our studio in person. We’re stationed on Riverdale Street in San Diego.